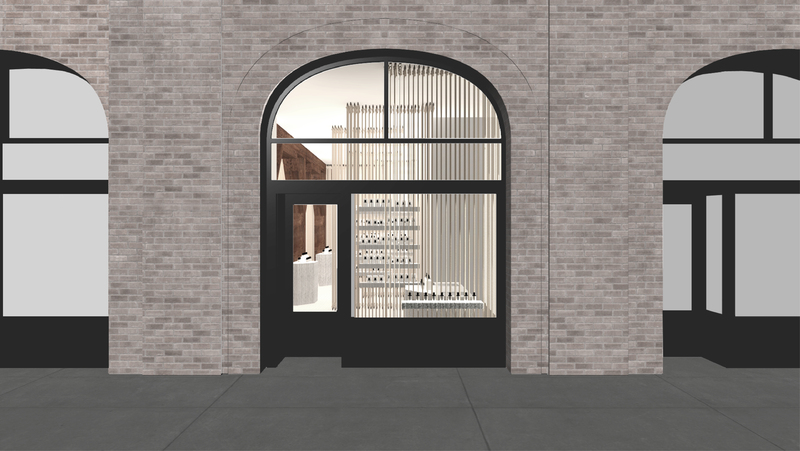 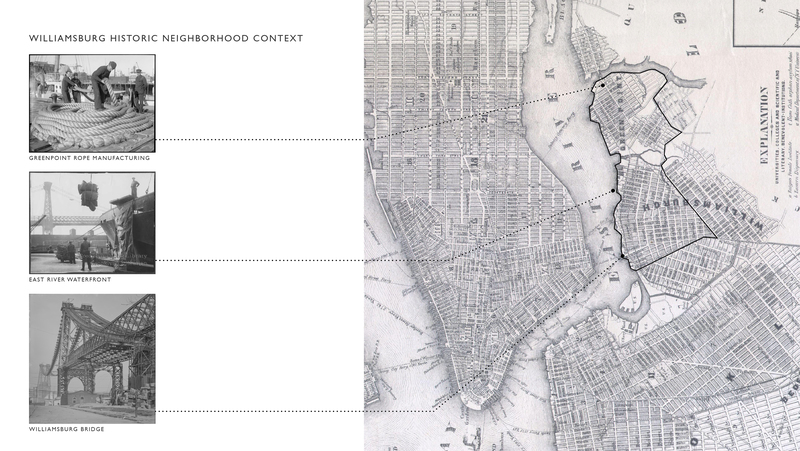 This perfumery is situated in a ground-floor space between Williamsburg and Greenpoint, Brooklyn. 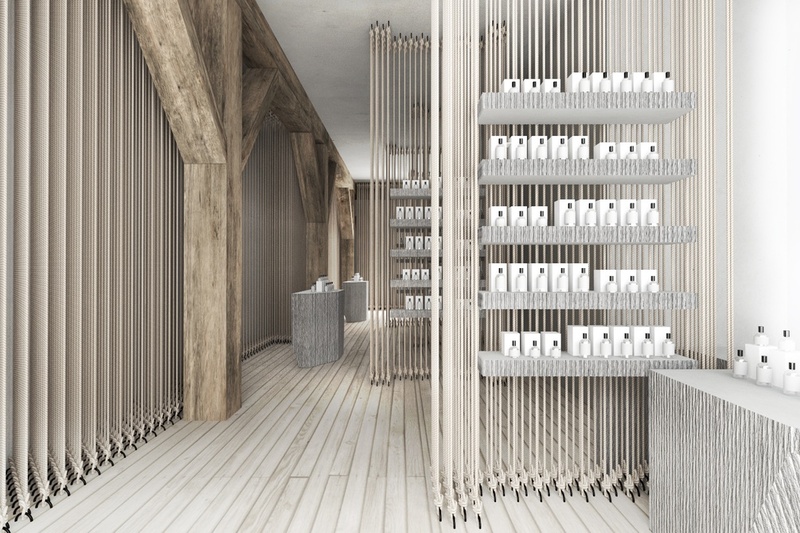 The design is defined by 1,695 lengths (20,340 linear feet) of hemp rope that span from floor to ceiling, creating a textured and porous volume within the space. 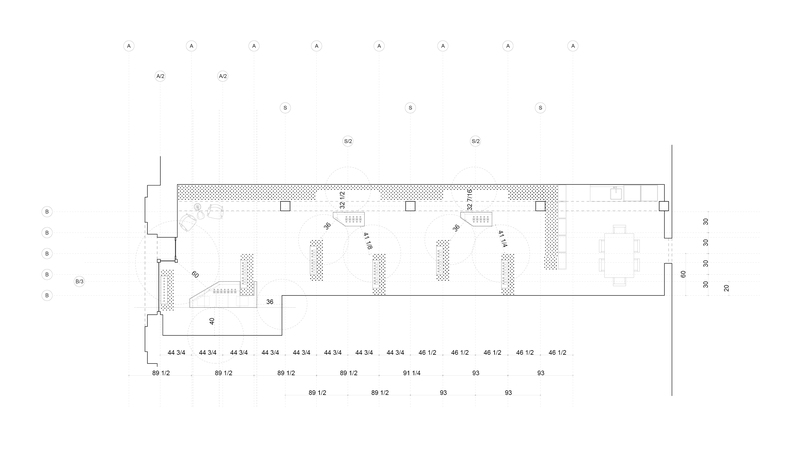 Shifted rope masses subdivide the length of the space along a central axis creating a series of semi-private rooms, within which the visitor may experience unique scents. 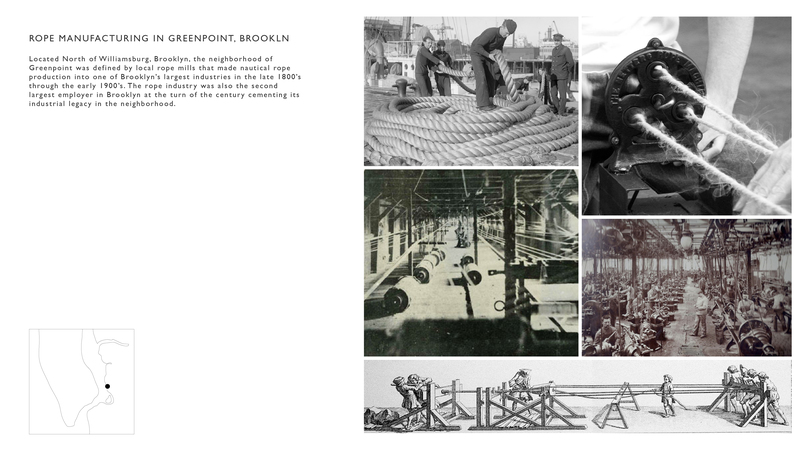 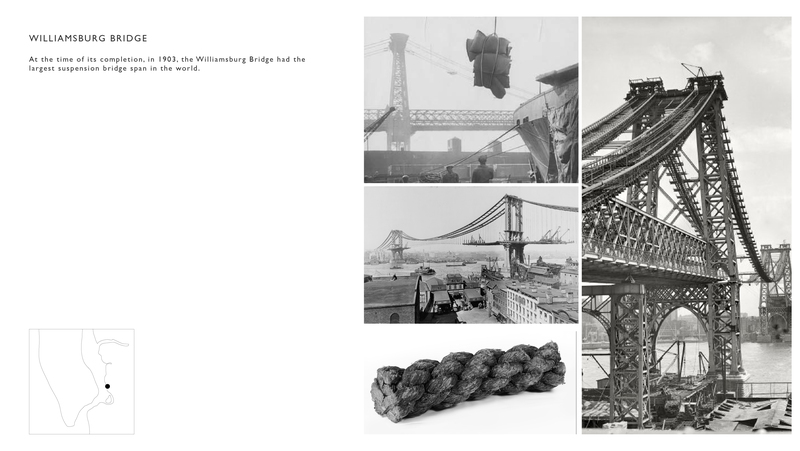 The rope provides a framework for an evolving collection of bespoke perfumes and pays homage to the history of industrial rope production that defined Greenpoint, Brooklyn in the late 1800’s through the early 1900’s. 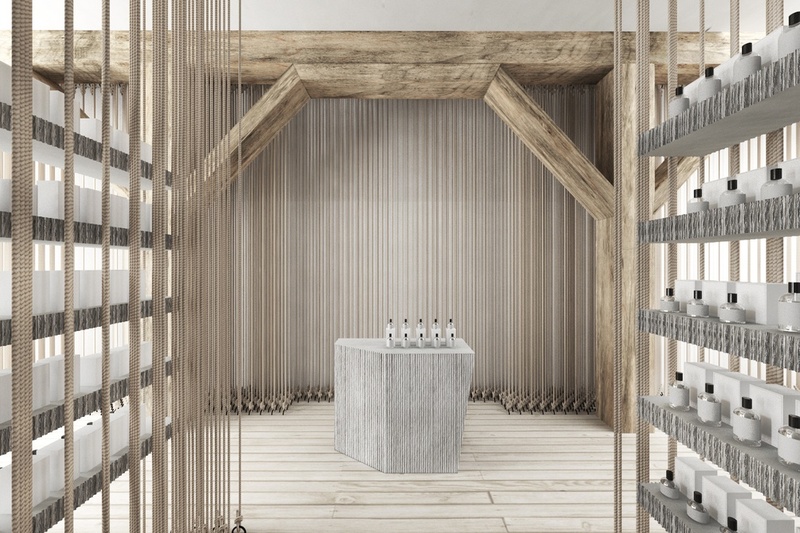 Perfume bottles are displayed on rope-formed concrete pedestals and shelves. 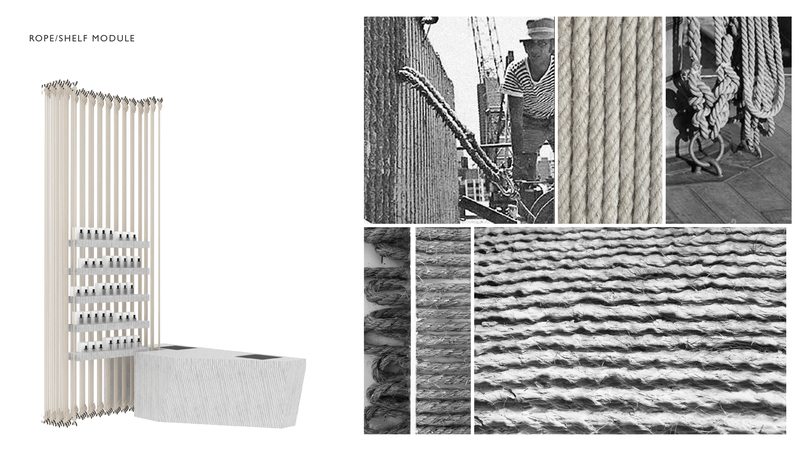 This technique of using rope formwork to create a textured concrete surface is not new and dates back to this same time period and was a common practice through the mid-20th-century.